Details: Dentils above entrance porch entablature and under roof line; brick quoin work; soldier course window headers. Plan: Rectangular with one story extension on north elevation; two story enclosed porch on south elevation. Historic Features: Columned entry portico; pedimented roof line dormers with columns; two story enclosed porch wing on south elevation with engaged columns; gambrel roof shape; entrance with pilasters and dentils. Alterations: Windows replaced in portico. Exterior Alteration Permits: BP#21482, 1936.07.24, enclose porch $2,500. owner Evanston Womans Club, archt Mayo & Mayo; BP#35371, 1961.07.17, 1-sty kitchen addtn 29'-4" x 24' x 16'-4"H $23,000. 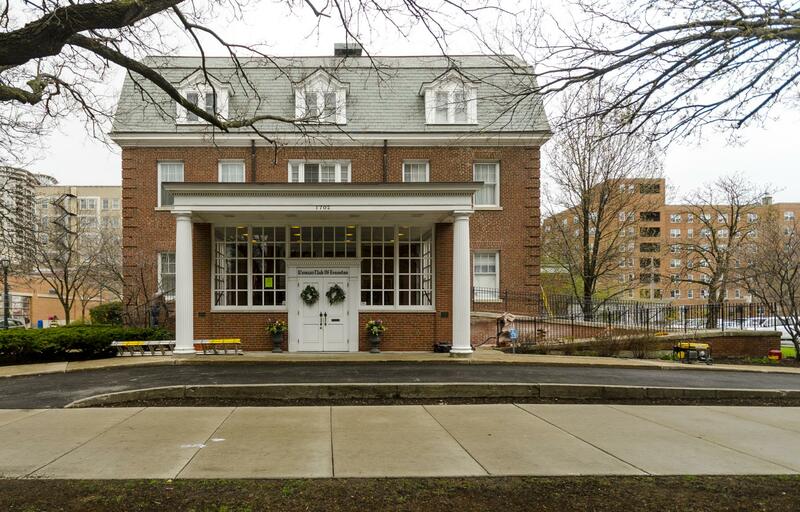 archt Arthur H. Knox; BP#38021, 1967.01.23, front entrance and canopy addtn $20,000. ; 15MRPR-0027: rebuild north chimney, repair west chimney, brick replacement, grinding and tuckpointing; 09WNDW-0022: replacement of non-original porch windows, porch repair & historic window repair; 08WNDR-0024: window replacement only 1st + 2nd floors; 06RFS 0000000070: roof; 01AIR0000000061: a/c/ unit, chiller system. COA Info: 15PRES-0041: tuckpointing; 09PRES-0180: Replacement of 2-story porch casement wood windows on the east, west and south elevations with new casement wood windows to match the existing type, material and window light configuration. Existing window transoms to remain. Remove existing wall below porch windows and behind porch railing. Remove porch railing and balusters and salvage for repair and installation. Provide new porch wall and reinstall railing. Originally approved on 7/15/08; 08PRES-0104: Replacement of non-original wood windows at two-story enclosed porch with new, wood, divided-light windows; repair of historic windows at all facades and repair of porch balusters and replacement of wood panels; 06HIS0000000030: Replace existing roofing slate in kind (18" green Vermont slate), replace copper gutters and downspouts in kind. Historic Info: Evanston Landmark. 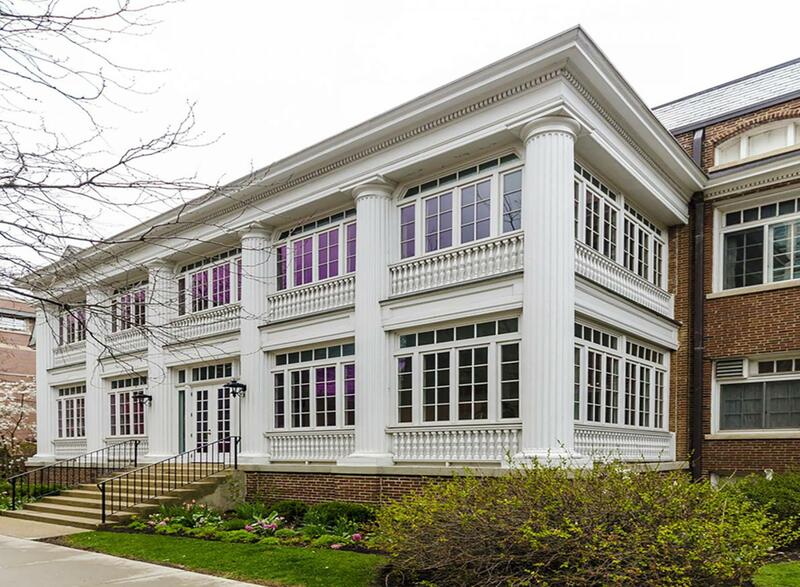 Statement of Significance "Designed by an important Evanston architect, this structure has two parallel sections that are separated at some distance from one another and connected by a longer section, all with gambrel roofs with strong cornices and eaves.